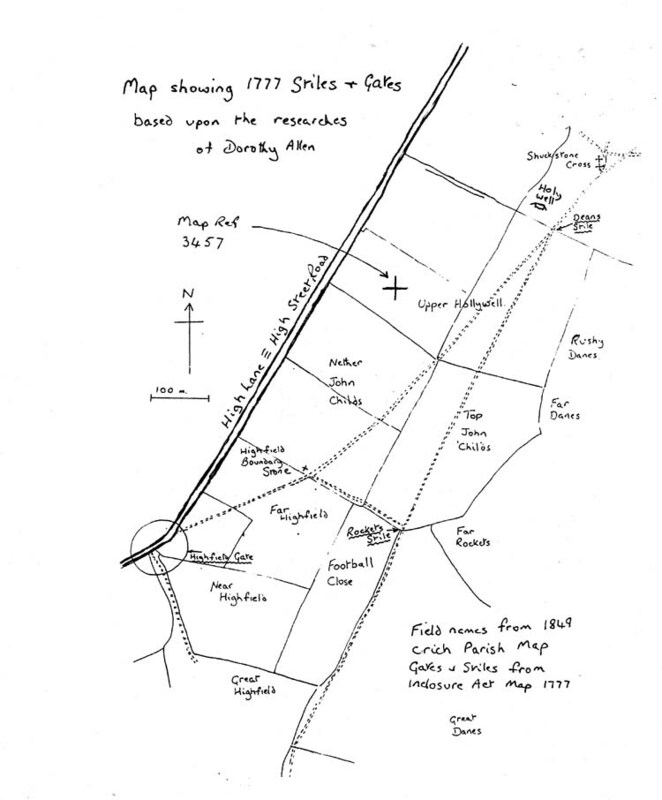 The route north out of Crich passed by Shuckstone – a place separately identified in the Domesday Survey. Here, at a junction coming up from Robin Hood and Wakebridge was to be found Shuckstone Cross where, in 1788, an earthen pot of copper Roman coins was found. It is known that the Romans exploited the local lead from about A.D. 117. 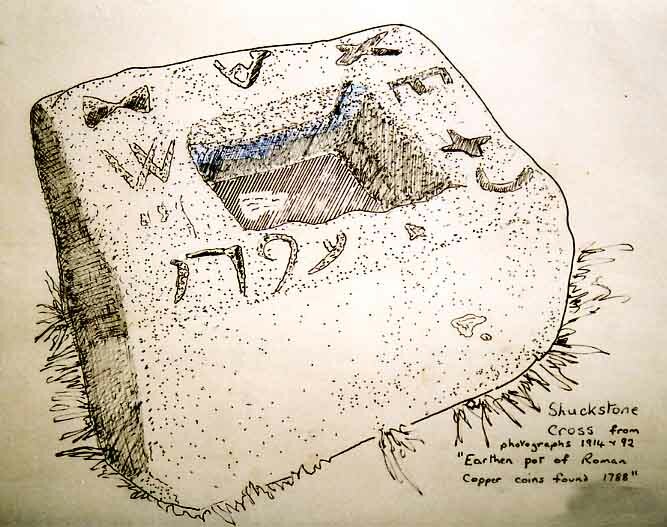 A 'shuck' was a robber and a murderer. Thank you to George Wiggleworth for the following information and photographs. 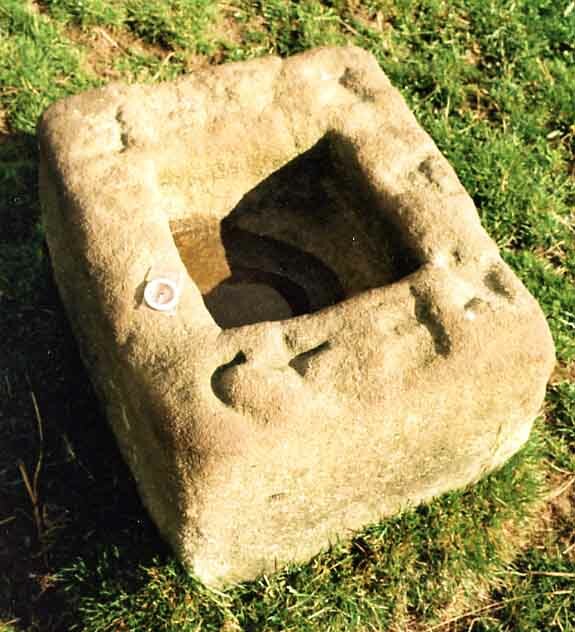 The letters C and A are thought to represent Crich and Ashover. 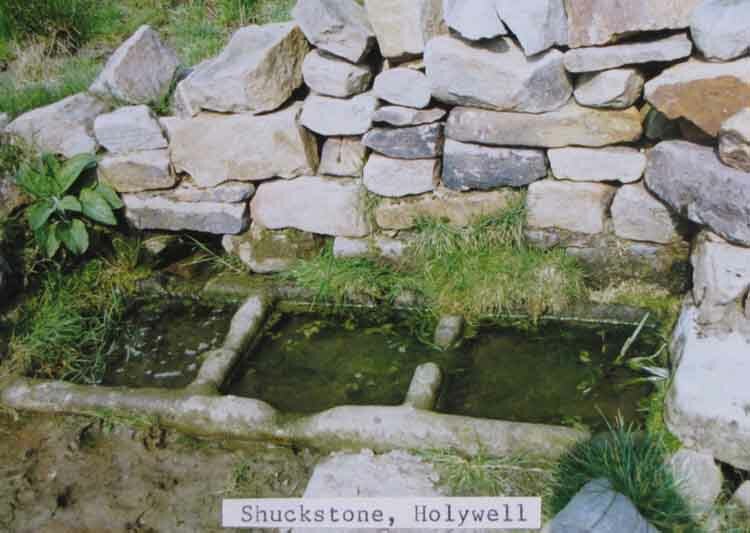 In the same field as Shuckstone Cross is Shuckstone Holy Wells. 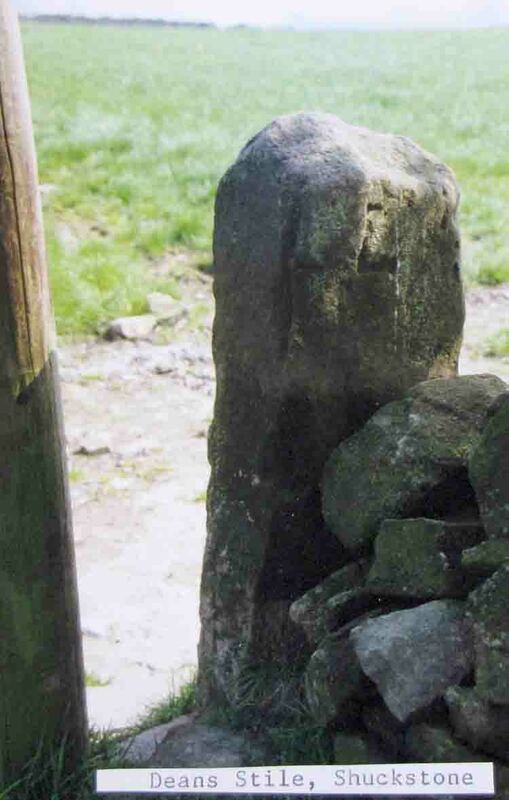 Leading out of the field is Dean's Stile, a boundary marker between two parishes. Note the letter C on the stile. 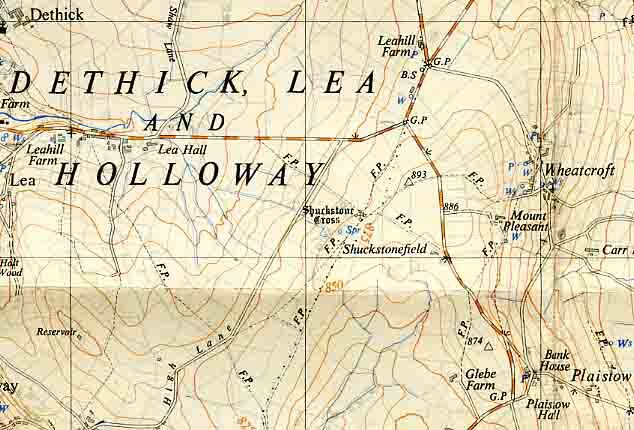 It is a boundary marker between Crich Parish and that of Lea & Holloway.